Memories Of Aveley - a Memory of Aveley. Hi, came across memories of Aveley by chance and found this very interesting as we were also the first to move into the experiment house, number 37 Central, and like you said was very cold. 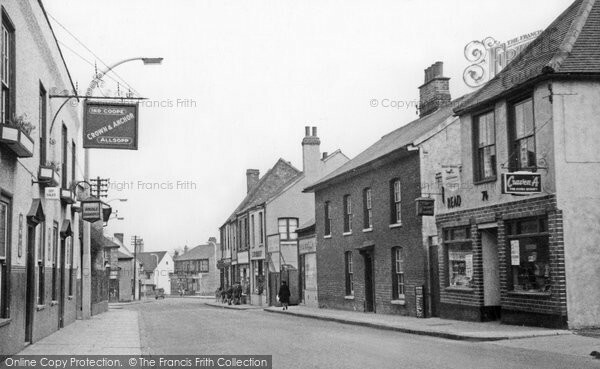 When we moved there there was no houses except fields next to Olive and Geoff King and I could see my nan getting off the bus at the Top House Public House as a small child. I can remember Marylyn who I can remember had a pretty bad accident on a bicycle. I used to go to piano lessons in Purfleet Road so I expect I was very noisy when practising the scales. I went to Aveley Junior School and then to Bushy Bit - no one really believes it was the name of a school. My parents Doris and Vic moved to Kent in 1965 and after, getting married by Reverend Randell at St Michaels church in 1964 which is where I met my husband, as he was a choir boy, so I have very fond memories of Aveley even though we have now lived in Kent 40 years. A memory shared by Elaine Olley on Jul 1st, 2012. Send Elaine Olley a message.